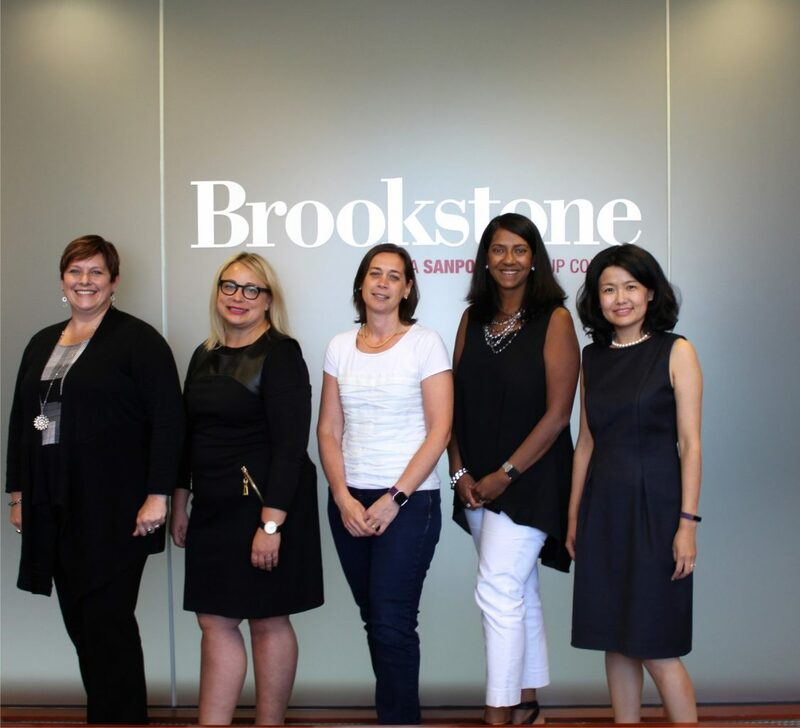 We often hear about the men behind a company, but when I flew to Merrimack, New Hampshire to interview the execs behind Brookstone, it was the power of the company’s women that struck me. These include female executives Valen Tong (Senior VP and Chief Financial Officer), Susan McGrath (Human Resources), Dana Schwartz (eCommerce), Lauren Van Heerden (Chief Innovative Officer), and Kiran Smith (Chief Marketing Officer). And according to Smith, this female perspective is critical to what she describes as the “reintroduction” of the Brookstone brand. These women were all brought on board to revamp Brookstone, tailoring it to the modern consumer. Learning more about the inner-workings of the company, I became curious about the working dynamic of this female-powered team. “It’s hard to get a word in!” Smith exclaimed, drawing laughter from the other execs. And if you met this group, you’d see what she means. These executives confess they are overly-comfortable sharing what they really think with one another, even when it’s harsh. Their respective educational degrees command different approaches, but complement one another. Their interpersonal respect and encouragement to challenge one another makes them stronger as a team.